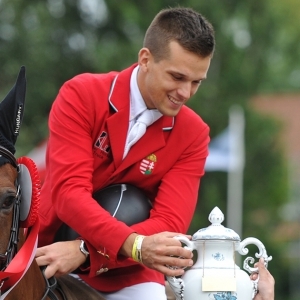 Rider of Pataki Ménes, significant person of Hungarian showjumping. Five times Champion of Hungary – three times with PM Jumping Lady, who he trained himself. Competed in European Championships in 2009 England, in 2015 Aachen and in 2017 Gothenburg. During his carrier he has already won or was placed in almost all Grand Prix competitions held in Hungary and Central &Eastern Europe, led the Hungarian showjumping ranking list numbers of times. He is outstandingly successful on CSIOs: was member of the victorious Hungarian national team in Kiskunhalas in 2009, and won the CSIO Grand Prix in Czech Republic with Frederik. With his current top horse, the chestnut stallion, Zordon, they were part of the Nations Cup winner Hungarian team in 2016, riding without penalties in both rounds. Mariann started riding when she was 11. She spent a longer period in Great-Britain at Diana Lampard’s, then in Germany at Helena Weinberg’s. 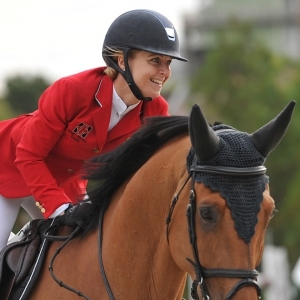 She participated in several European Championships as a young rider. In 2000, at the European Championship held in Hortobágy, she finished at the top of the podium. In her carrier she competed at almost all important events in Europe, and won a CSIO Grand Prix in Bulgaria. She competed four times at European Championships. In 2010 she participated in the World Equestrian Games in Kentucky. In 2016 she achieved a historic result for Hungarian showjumping by qualifying for the World Cup Finals, where she accomplished all rounds great with her current top horse, Chacco Boy. With Chacco Boy she was part of the Hungarian team winning the Budapest Nations Cup in 2016, she reinforcing the team with a double clear ride. He is member of a real equestrian family. His riding is marked by elegance, style and precision. As a junior, he competed in the European Championship in dressage. 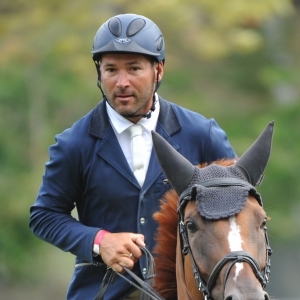 As a showjumper, he was member of the World Cup winner Hungarian team in Romania (2000) and Kiskunhalas (2009). He found his four legged mate again, Heuréka, a chestnut mare, with whom he became a member of the national team. In May, 2017 they won the Grand Prix of Kiskunhalas, in 2018 they competed for the national team in Linz, Austria. Since 2013 he is the chef d’équipe of the national junior team and the leading trainer of Talent programme. One of the best equestrian professionals in Hungary, both as a trainer and an educator. He is manager of Pulai Lovasfarm, one of the most popular event premises in Hungary. He was born in Mezőhegyes, in a family with great equestrian traditions. His father, Szabolcs Krucsó, competed in the Olimpycs in 1980 with the Hungarian team. His grandfather, Imre Gergely, was the professional leader of horse breeding at Mezőhegyes State Stud for more than 35 years. His brother, Balázs Krucsó, was key member of the national showjumping team for two decades, he now lives in Germany. Szabolcs Krucsó went to Germany when he was 15, started working first at Peter Schütte, then in the barn of Paul Schockemöhle. Having returned to Hungary, he competed for Mezőhegyes National Stud and B&H Riding Club. With his family, he founded Krucsó Riding Club in Baracska. Three years ago he found the best horse in his carrier so far, the stallion called Chacco-Blue II, owned by Attila Kórusz. They ended in the first 50 in the European Championship in Gothenburg 2017. He was placed in the CSIO5*Grand Prix of Poland in 2017 with Chacco-Blue II, and was also member of the Hungarian team which was placed fifth. This year in May he was second in the Grand Prix of CSIO Linz. In 2017, first time in his carrier, he won the Individual National Championship in Kiskunhalas, he is currently leading the Hungarian ranking list in 2018. Gábor Szabó jr. started competing when he was 12. In 2008 he started riding for Timpex, one of the best private owned studs in Hungary, and he has been the Stud’s top rider since then. In 2009 he won the pre-qualifier of the European Championship for Juniors in The Netherlands, out of 100 starters. In 2010 he was national champion of young riders. 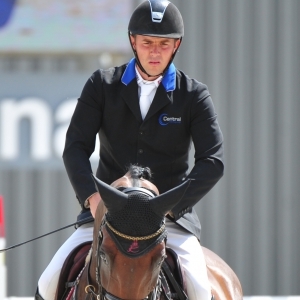 In 2011 with Timpex Centes he won the qualifier of Jumping Championship for Young Horses, out of 259 starters. In 2013 he already competed for the national team at CSIO Budapest, and in the same year he finished 9th in the pre-qualifier of the European Championship in Denmark with Timpex Cabale. He is the hero of Budapest CSIOs: He won the Grand Prix in 2014 with Timpex Cent and in 2016 with Timpex Bölcsész. 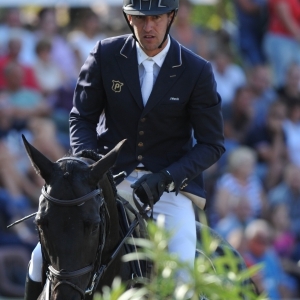 In 2016, riding his current top horse, Timpex Bölcsész, he competed in the jump off against the Italian rider and his fast ride secured the victory for Hungary. In 2017 they qualified for the world Cup Finals in Omaha, where they finished 21st.